– This piece originally appeared in The Weekend Australian. // It doesn’t have the same aphoristic ring as judging by their cover, but should we judge books by the width of their spine? The news that Zadie Smith was publishing a single short story – running at 69 sparsely printed pages – as a stand-alone hardback was greeted in many quarters with a mixture of amazement and cynicism. Few authors have the clout to publish a single story, especially one that has already been published in no more obscure a journal than The New Yorker. “Can you do that?” is the incredulous question. “Zadie Smith can do that” is the inevitable reply. What we find in The Embassy of Cambodia – the tale of a housemaid working in London whose days are punctuated by the cresting of a shuttlecock from an unseen game of badminton behind the walls of the Cambodian embassy – isn’t the sort of Smith writing that crackles and zings off the page, sentences seeming to clamour for attention. It’s a book without the pyrotechnics of her 2000 debut White Teeth, the frenzy of odd syntax and typography, the “hysterical realism”, as critic James Wood put it. Embassy of Cambodia is as expertly crafted as a piece of machinery, coolly blank and affectless in style. Its prose is the gentle arc of the shuttlecock as it sails through the air, not the smash and zip of the previous novels. In 2009 Smith wrote, in characteristically self-reflexive style, an essay on essays. Examining the purity and possibility of the essay as a form, Smith highlighted the advantages of its tightened constraints compared with the tangled, imperfect knottiness of the novel. Essays, she contends, hold out the possibility of something like perfection, whereas novels are “idiosyncratic, uneven, embarrassing, and quite frequently nausea-inducing – especially if you happen to have written one yourself”. For Smith, the novel is a “filthy, unfathomable puddle”, the essay a “clear glass windowpane”. Smith doesn’t mention short stories in the essay, but one feels Embassy of Cambodia is a similar attempt to stave off nausea by moving from puddle to pane. The short story, perhaps even more so than the essay, glimmers with the possibility of perfection, and Smith has indeed polished its smaller surface til it shines. The work begins with an apparent Greek chorus – “we, the people of Willesden” – a voice to which the work returns throughout the 21 sections, expressing many of Smith’s authorial concerns. Midway through the chorus asks, “Surely there is something to be said for drawing a circle around our attention and remaining within that circle. But how large should this circle be?” This is the question at the heart of Smith’s oeuvre, and each time the circumference narrows. Embassy of Cambodia marks the smallest circle yet. Returning to northwest London, the map co-ordinates that provided the title of her previous novel NW, the story centres on African-born Fatou, working as a maid and nanny for an upper-class family in Willesden, wondering occasionally to herself if she is a slave, provided neither with wages nor possession of her own passport. Smith invokes the historical division of “Old and New people” of the Khmer Rouge’s rule – transposed less sinisterly to the people of Willesden. This distinction between Old and New, those who are truly of the city and those who are not, is a concern at the centre of Smith’s works. Fatou, formerly an Old Person in West Africa, now an urban New Person in Willesden, is both outside and in, watched and watching. In her essay, Smith wrote of feeling oppressed by the obligations of extended narrative, employing a line from Kafka: “But then? No then.” With Embassy of Cambodia, she writes fewer “and thens”, and in doing so has crafted a tale so polished it has the feeling of fable. Yet Smith was never about blank, neat perfection. It was the dizzying, ambitious, imperfect perfection of the earlier works that made her name. 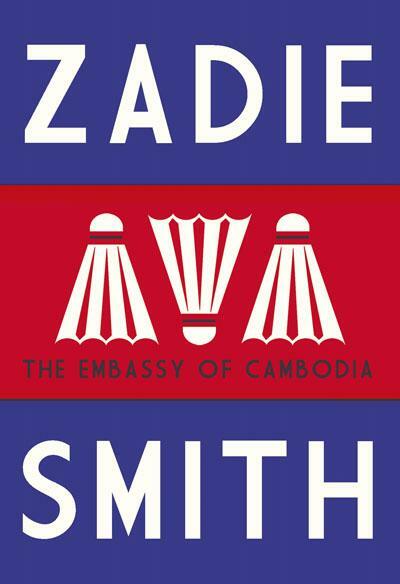 Embassy of Cambodia is yet another example of Smith’s mastery of story and form. She may feel nauseous at the thought of another novel, but I long for her return to turbulent, expansive puddles from this small polished windowpane.